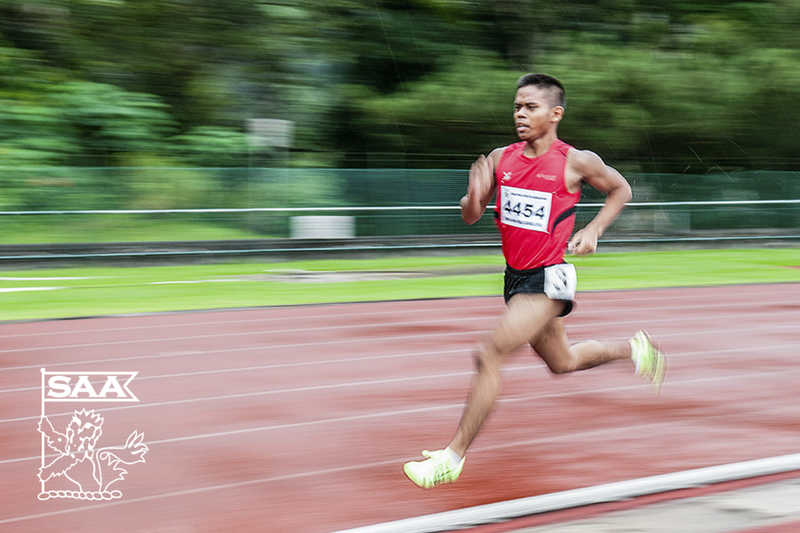 Muhammad Reyhan will be representing Singapore in the Men 400 Meter Dash Open, Men 800 Meter Run Open and Men 4×400 Meter Relay Open at the 76th Singapore Open Track & Field Championships 2014. Here’s is his profile awareness of our selected National Athletes for the competition. Preparation is going as per my coach’s expectation. So far the season is going smooth and i’m very excited to be racing with Southeast Asia’s and some of Asia’s best. My expectations would be to definitely better my personal best of 50.77s and 2:01.82 for 400m and 800m respectively. A bonus would be to break the 50s and 2min barrier if I’m feeling good during race! Locally i definitely look up to seniors like Kenneth Khoo and the old timers like my school coach Hamkah Afik. They show us that the only way to get results is through hardwork and determination and that there are no excuses to be successful. Besides, the timings they produce are crazy! Even at the age where athletes usually retire, we youngsters who are more active are finding it an uphill challenge to even come close to them. They are humble athletes that deserve respect both on and off the track. I have always loved running since i was in Primary One. I would play children games at the void deck with my neighbours like block catching, police & thief, ice & water and Ali Bomb! I loved outrunning my friends and I had the stamina too so I asked my dad which CCA offers purely running and he said Athletics. I joined from Primary 3-6 under the tutelage of Mr Jacter Singh (P3-4) (Kids Athletics) and Mr Patrick Zhender (P5-6) aka Santa Clause who exposed me to the sprints and hurdles. Training was all about fun and games and not about producing results. In secondary one I met a new coach who is my current coach (Donovan Ong). I only started serious training (setting goals & targets) until Sec 2 where i started to progress steadily and win a few track and field series. Since then I’ve never looked back and the rest is history.